Lauren's Boookshelf: July 2018 Book Haul! I once again got less books this month than in prior months, so I'm pretty happy with that. I still got quite a few books this month, but I bought less than half of them, so I would call that a win! I'm super excited about all the books I got, so I can't wait to tell you all about what I got! I ended up with 11 new physical books, 4 ebooks, and an audiobook! The first physical book that I got this month was Flame in the Mist by Renée Adieh. there was a preorder campaign for the sequel being run where you could also send in a postcard to get a signed bookplate and a paperback copy of the first book, so I decided to send in the postcard! This cover is absolutely gorgeous and I can't wait to read this Mulan-inspired story! Next, I traded someone on twitter for an arc of Sawkill Girls by Claire Legrand! This is a spooky novel about a bunch of diverse girls in a thriller-esque plotline. I can't wait to read it and I'm so excited to be able to read it before it releases! The next book I got was a gift from my best friend, Lexi, and that is Vicious by V.E. Schwab! 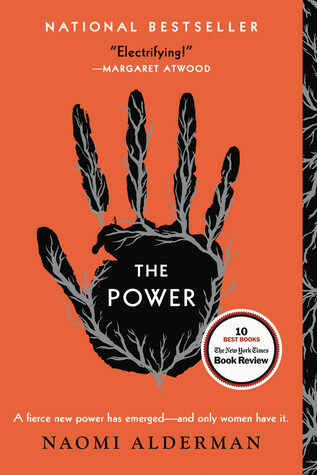 I've seen this book around forever but never had super interest in it until the gorgeous new cover came out and I bothered to look at the synopsis (spoiler: I decided I needed it). Lexi bought two copies and gave one to me for us to buddy read, and I honestly don't deserve her amazing self in my life. Then I got a copy of The Red Ledger by Meredith Wild from the publisher through BookishFirst. This book initially drew my interest when I read the synopsis and sneak preview. Essentially, it is about an gun-for-hire man with amnesia who doesn't remember his past life and is about to kill an unknown woman when she speaks his name. Everything changes after that and he's drawn into spy stuff, I assume. This book sounds so cool and I can't wait to read it! Next, I got my preorder of Spinning Silver by Naomi Novik. This is the sequel/companion to Uprooted (set in the same world but different characters) and I'm so excited to have both of these now! They're fairytale retellings and I've heard nothing but good things about both of them, so here's to hoping that I get around to reading Uprooted before 2018 is up! After that, I received an arc of Darius the Great is Not Okay by Adib Khorram. This book sounds awesome and amazing and I'm so excited to be able to read it early. I got my copy through BookishFirst, and I'm hoping to read it before September is through! Next, in the holy grail of all book trades, I got an arc of A Court of Thorns and Roses by Sarah J. Maas. As an avid Sarah J. Maas collector, I've been looking for an arc of any of her books for over a year and a half now, to no avail. But lo and behold, one day I had this amazing person respond to my ISO tweet that they were willing to trade ACOTAR for an arc that I had. I definitely freaked out! Then, blessed be the gods, I got a signed arc of Escaping from Houdini by Kerri Maniscalco! I loved the first book in this quartet and I'm so excited to have an arc of the third book! I believe I also talked about hauling this book in a previous haul, but I ended up trading that copy away for ACOTAR. I knew I still wanted a copy though, so I found a glorious human being who was trading a signed arc of EFH and I couldn't be happier. Not only am I beyond excited for what adventures await in this book, but the arc has a different ending from the final edition, so I can't wait to see the differences there! Next, I was sent an arc of The Demon Race from the author herself, Alexandria Warwick. This book comes out in September and I'm really excited to read it! It's a fantasy novel that just sounds completely awesome. Plus, I'll be a part of the blog tour for this book and I can't wait to share even more about it with you guys! After that, my friend and I ended up going to our local used bookstore (my first mistake) with my niece (my second mistake) and I ended up leaving with three books. One was for my niece, but the other two were books that I didn't really need but ended up getting anyway. The first of these is the graphic novel for Clockwork Angel by Cassandra Clare. I've had my eye on this for a while now and when I saw that they had it at my local bookstore, I bought it so fast! The second book I got that day was The Evolution of Mara Dyer by Michelle Hodkin. I had the first and the third books in this series so when I saw the second one sitting in perfect condition at the store, I knew that I needed to buy it. Now I can binge read the entire trilogy! Lastly, I got a copy of Red Sister by Mark Lawrence. I've seen nothing but good reviews for this book and I'm super excited to finally have my hands on a copy! It also took forever for me to find this edition of the book, but I'm thrilled to have it on my shelf. All I really know about it is that it's a high adult fantasy with assassins and awesomeness! I also ended up getting four ebooks this month, apart from those that I discovered in Prime Reading (who knew that was a thing? not me). I'm super excited about these and can't wait to read them all and discuss them all. 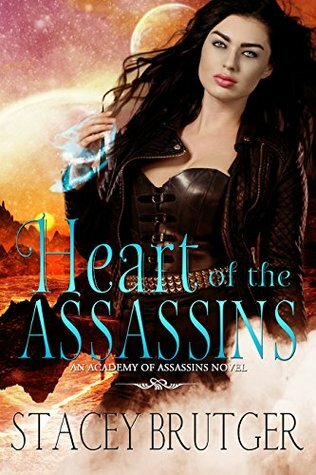 The first that I got was Heart of the Assassin's by Stacey Brutger. I'm a little ways into this book and I'm enjoying it. I think, however, that I should really reread the first book before I get further into this one since I can't remember everything from the first book. 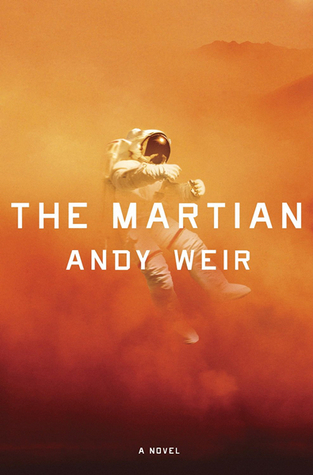 The next ebook I purchased was The Martian by Andy Weir. It was on sale for a dollar and I knew that since it was one of my favorite sci-fi books, I had to get it! This story is one that I read years ago when the movie was coming out and absolutely loved. It was witty and hilarious but also adventurous and so science-y. Honestly, I still recommend it to pretty much everyone who says they like sci-fi. Next, I got Strength by Jaymin Eve & Jane Washington. 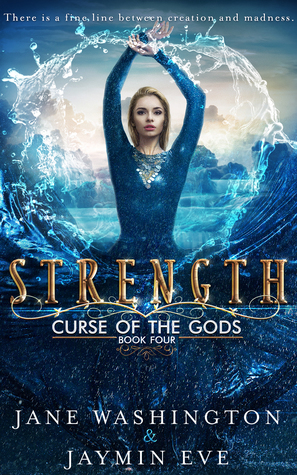 This is the fourth installment in the "Curse of the Gods" series and it was amazing. So much character development and plot growth happened in this book and I can't wait to see where the final book takes us! The last ebook I purchased was Two Kingdoms by Kristy Cunning, which is the third in an awesome, dark, wacked out series that I've grown very attached to. I've been waiting for this release for a few months now and I was completely surprised one day when it showed up in a recommendations section on Amazon! I can't wait to read it, although I may reread the first two books first! I only got one audiobook this month, using my last credit before I had to cancel my Audible subscription until I have a job during the school year. 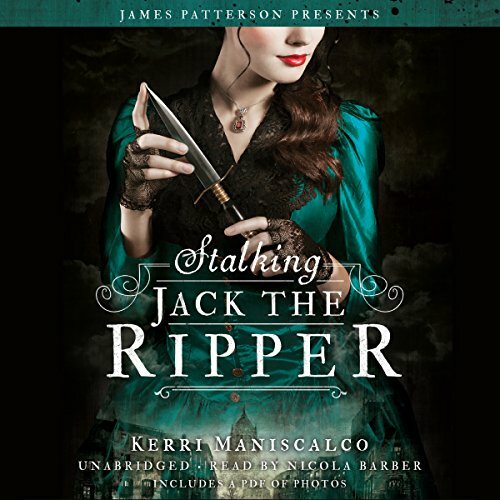 I decided to pick up Stalking Jack the Ripper by Kerri Maniscalco. I love this book, as I stated earlier in this haul, and I've been meaning to do a reread. I've also had the audiobook on my wishlist for a while now, so I'm super excited to listen to it and see how much I fall in love with the characters all over again! Thanks so much for reading! I hope you all enjoyed my haul for the month of July.